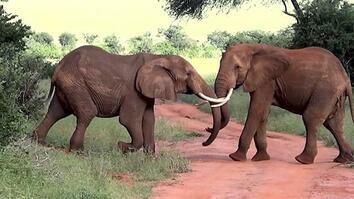 April 30, 2016 - The Kenya government destroyed more than 100 tons of elephant ivory in the largest burn of its kind ever, in the hopes of combating the illegal ivory trade and killing of elephants. The burn represented the tusks of more than 6,500 elephants killed, and also included more than a ton of rhino horns. 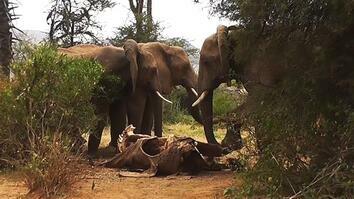 Read Wildlife Watch's report "Kenya Sets Ablaze 105 Tons of Ivory." 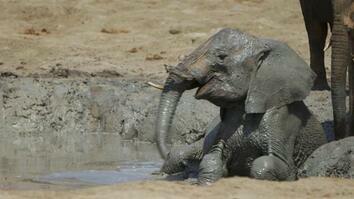 Learn how you can save elephants. Learn more about rhino poaching. 105 tons of elephant ivory and 1.35 tons of rhino hornwere destroyed at the largest burn to date. killed in the illegal wildlife trade. Kenya and other African nations are in the midst of a poaching crisis, driven primarily by demand in Asia for wildlife products. This demand has resulted in the decimation of the elephant and rhino populations, and endangered the lives of the men and women who serve to protect them.